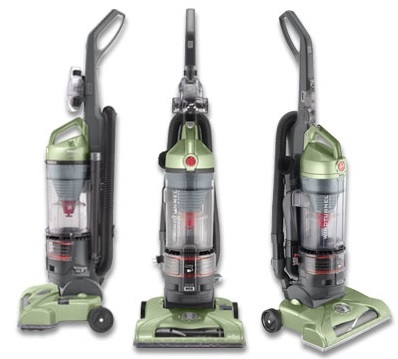 This is the summary of consumer reviews for Hoover SteamVac Carpet Cleaner with Clean Surge, F5914-900. The BoolPool rating for this product is Very Good, with 4.30 stars, and the price range is $129.99-$199.09. 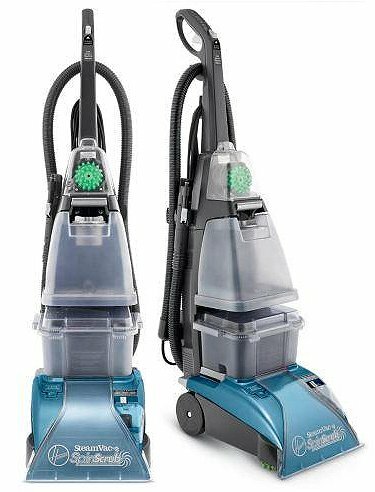 The Hoover SteamVac Carpet Cleaner features a powerful 12-amp motor combined with 5 multi-directional spinning brushes that operate at high or low speeds to lift the usual and grime dirt out of carpets. These pop out brushes are easy to remove and rinse after use. 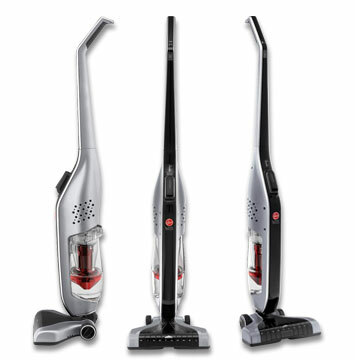 It comes with 3-speed Brushroll Control setting – high for normal cleaning, low for gentle cleaning and off for spill pick-ups. 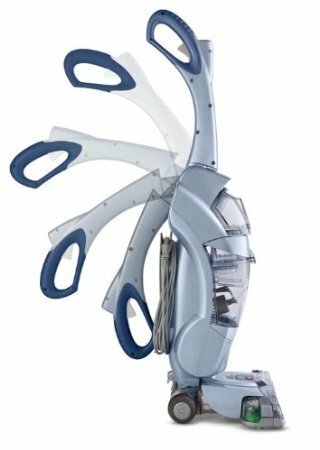 The SpinScrubs grooms the carpet fibers from all sides for deeper cleaning. For stubborn stains or high traffic areas the Clean Surge feature sends an extra blast of cleaning solution into the stain by press of a button on the handle. When cleaning is complete, release the trigger and the SteamVac forces hot air into the cleaning path so you can do a few dry strokes over the stain. 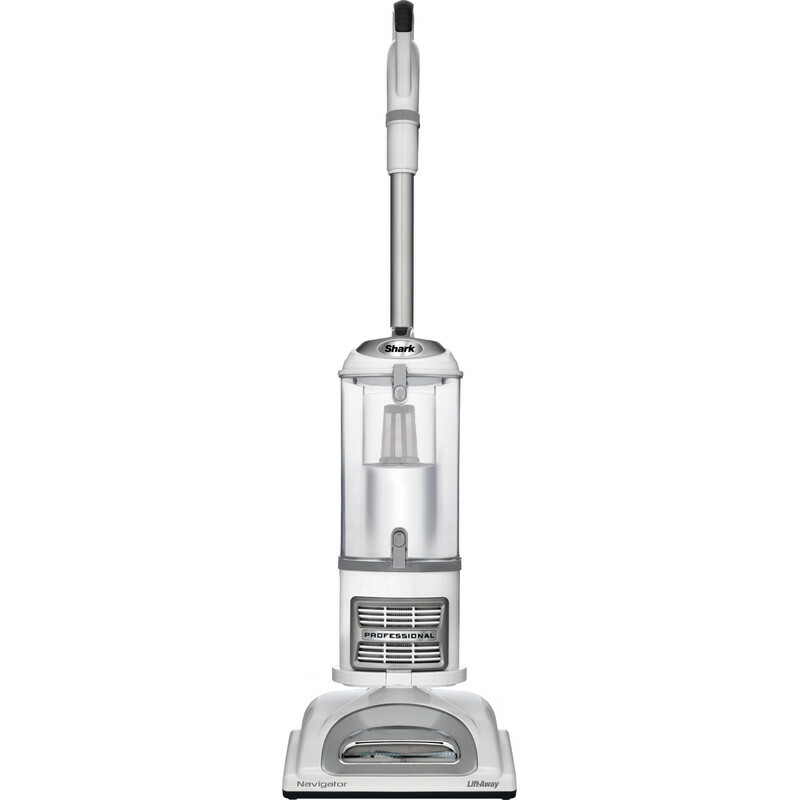 The Hoover SteamVac has two separate water tanks – top tank holds clean hot water with detergent and lower tank holds the dirty solution picked up from the carpet. The dirty water tank is easy to unlatch and empty without spilling or making more mess. This cleaner has an 8 foot long hose and a special stair/upholstery nozzle to scrub out spots. Other attachments like bare floor nozzle and a powered hand tools are ideal for upholstery, small carpet area, stairs, car floors or other vertical surfaces. All tools are mounted in the front of the cleaner for convenience. Some other features are a brush indicator informing the spinning action; on/off foot pedal; handle release pedal and a 20 feet wraparound cord. However, this cleaner is not very effective on hard or wooden surfaces. The frequent emptying and filling the tanks is considered a tedious process by many users and they wish that the dirty water tank had larger capacity. With the Hoover SteamVac Carpet Cleaner, extend the life of your carpet with regular steam cleaning - and hit tough stains with the power of Clean Surge for spotless carpets. 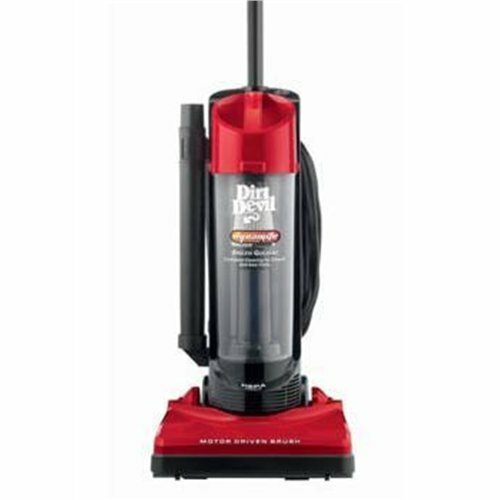 This carpet cleaner comes with good suction ability to pick up any kind of dirt or hair leaving behind a fresh smelling home with clean and revitalized carpets, rugs and upholstery. Amazing job on my furniture! I dont know much about carpet cleaners but for the money it seems to work pretty good. Would highly recommend over the other models and brands. I've two dogs and messy people in our home. With three small dogs and five grandchildren, I use my shampooer quite often. I think this approach is more reliable...true the spin brushes do a little better job, but more carpet damage. 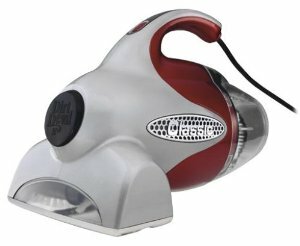 I'd recommend this Hoover, easy to use, seems powerful, does a great job, pretty lightweight too...I tend to use my steamvac once a month or more often as needed, we've a dog and I like to keep my carpets clean :-).Overall a great product, at a great price!. It did a fantastic job cleaning my carpets. I've used several shampooers over the years and this one does the best job and is easiest to use, hands down! The brushes work very well and are easy to clean. Easy to use and cleans and dries well. Have 3 kids and 2 dogs, cleans the carpet so well. It cleaned really well using the cleaning solution that Hoover supplied with the machine. I think mine is an older model of this, but well worth the investment. My only wish was that it held a little more water in both the solution tank and the resevoir tank. The attachments stay in place very well and are easy to put on and off their holders. For the even greater..how well it cleaned. It really cleans awesome so if that's my only beef - oh well. The steam cleaner worked better then I expected. Some reviewers said that this vac didn't work second time. This steam vac worked way better than the big wet/dry shop vacs! Wow, huge difference but not quite there so I let everything dry completely and did the room a third time (1) pre-spot (2) shampoo (3) clean water rinse, and (4) lots of dry strokes for optimum water extraction. 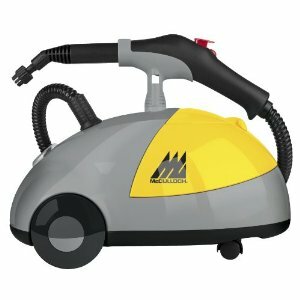 My Steam Vac stopped working 10 months after buying it. Easy to Use and works well on Stains. It works very well, cleans up a lot of dirt, and it really does pick up LOTS of water so the carpet is just slightly damp, and not wet, when you're done. I don't want a steam cleaner that only works part of the time. after reading all these online reviews we went with this one the steam vac with clean surge that's square looking tanks and let me tell you it works great! The dirty water tank was bone dry. The dirty water tank lid comes off for easy dumping. Easy to insert and remove water tanks. The clean water tank holds more water than the dirty water tank, so that you can never stop just once to dump and fill. 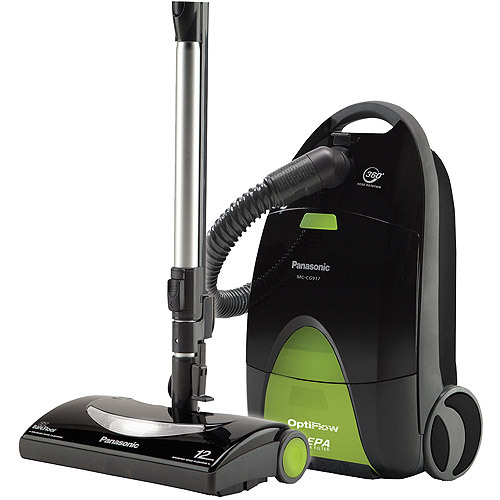 We use the Hoover cleaning solution in the green gallon jug (5 oz per fill up), and pretreat spots with Folex or any other carpet stain remover.The Steamvac (there's no steam involved, just hot water from your tap), is lightweight, easy to fill with water and cleaning solution, easy to dump the dirty water, and easy to use. Sure enough, it clearly states that before you go to empty the bottom tank, which is the dirty water tank, be sure to remove the top tank, which is the clean water tank, first before tilting the machine back to release the bottom tank!! The solution and dirty water tanks are a bit awkward to open, fill and empty. The machine is fairly easy to assemble, take apart, and remove and attach the 2 water tanks. Larger volume clean/dirty water tanks, than most machines.